Co-living and micro unit models are rising in popularity, but construction and lending practices need to catch up. Co-living and micro units are changing the way that people are living. In particular, these apartment styles are providing quality middle-income housing options in urban markets. Even better, they are generating phenomenal net operating income for investors. However, construction and lending models have yet to catch up to this new way of living. 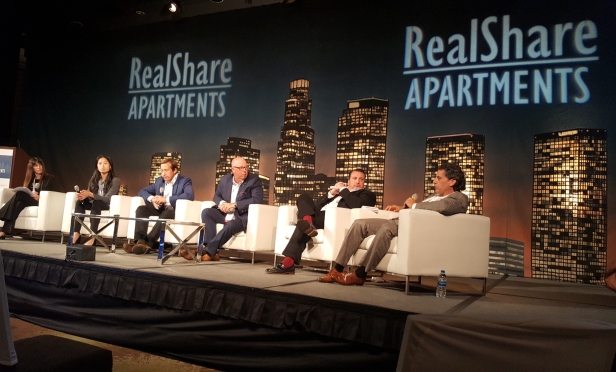 At RealShare Apartments yesterday, leaders in this niche talked about the burgeoning market on the Co-Living, Micro-Units, and Vacation Rentals: Value Opportunities in Non-Traditional Apartments. Panelists included Laurie Lustig-Bower, EVP at CBRE; Shaina Li, director of real estate at Common; Zac Shore, director of development at Panoramic Interests; Jim Wiegandt, managing director of commercial real estate banking at Banc of California; John Petrov, president at Baldwin Construction; Sebastian Rein, managing director at AddaZero.